Here are two photographs from that day. 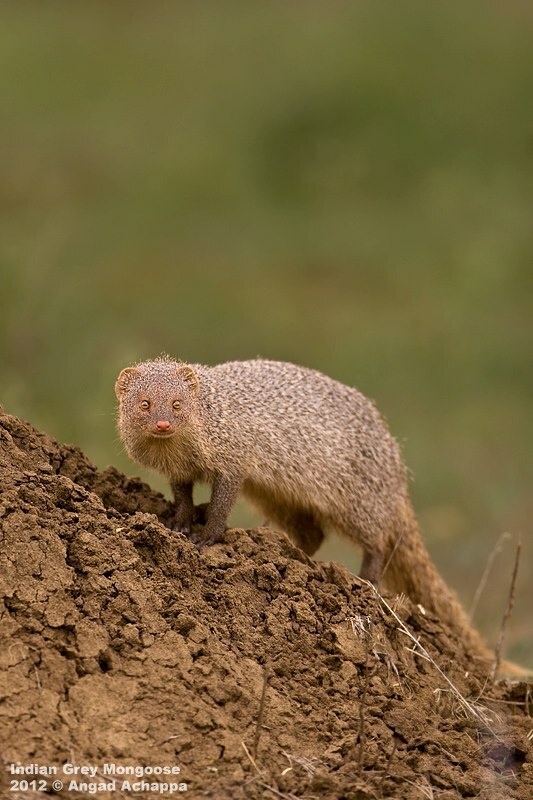 Both the images were shot with a Canon EOS 20D and a Canon 600mm F4 L IS USM resting on the car window. Beautiful shots Angad, cheers for coming round to my blog. she has intense eyes! great catch, angad! Wonderful capture and I liked the little one. 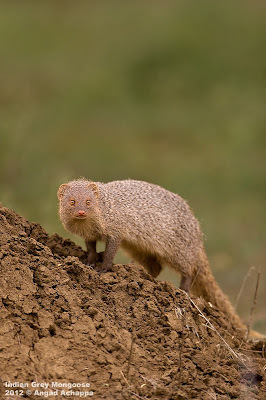 Mongooses are a resident of our next compound with wild vegetation. Lovely images Angad. Happy New Year to you. The second picture is really amazing. Love the look of the young one. Lucky that you got them to click, they usually run and hide very fast, right? I like discovering your pictures and your country! 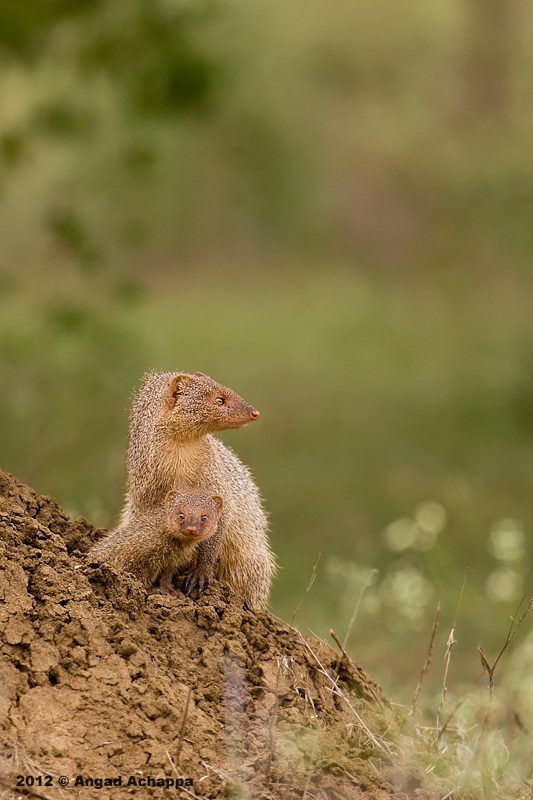 The Mongoose mom and her cub are gorgeous! We don't have them in the wild in France but I saw a few in South Africa! Such an amazing animal. thank you for sharing the photos. i love how you have taken them to.